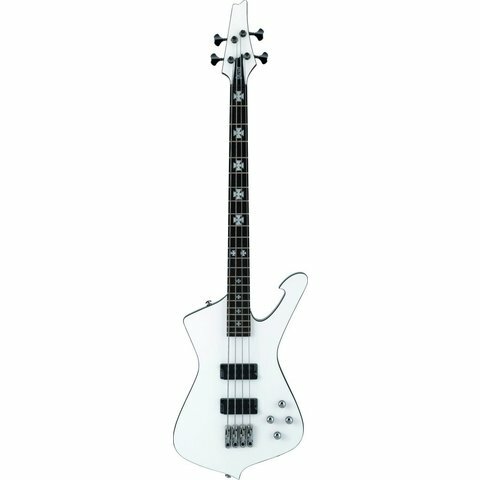 The SDB3 is the signature series bass of Sharlee D'Angelo, bassist for Arch Enemy and Spritual Beggars. The Mono-Rail IV bridge is the ultimate in string isolation for bass. Each saddle is independently and securely locked down to the body for maximum vibration transfer without interference. One screw controls the height of each saddle for easy adjustment. High-output PFR, the mighty Ibanez original pickup that has earned the respect of many artists, endorsers and working pros.